We like to view the transition from Pediatric to Adult Care as a celebration. We are proud of their journey and our support does not end on the pediatric floor. We continue to support our friends with CF in adult care at UF Health. 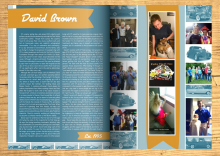 We produce this yearbook to help make the new chapter of care more comfortable. 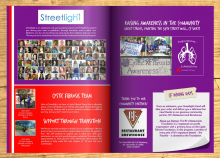 This year Streetlight was able to produce a 40 page book and accompanying e-book with 8 patient testimonials and over 60 staff contributions. 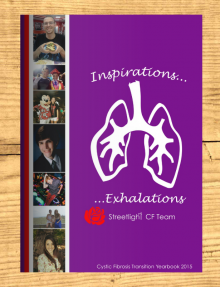 Our goal is to use this as a tool to celebrate our transitioning patients, share the legacy of our adult patients, and honor the support provided to the cystic fibrosis community. The best part? 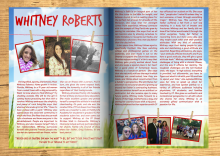 Graduates get their own personal spread in the yearbook. The journey through pediatrics is a big deal. The next step to adult care can be challenging. We like to celebrate the landmark and help introduce them to their new providers. With the patient’s permission, we can join them during their Transition Clinic appointments or join them for a meal afterwards. We produce this yearbook to help make the new chapter of care more comfortable.